NRATV host Dan Bongino will leave the outlet at the end of the year, according to reporting from The Daily Beast. During his brief run at the National Rifle Association's media outlet -- hosting his own show We Stand and making frequent appearances on other programming -- Bongino found his niche in launching conspiratorial rants  about special counsel Robert Mueller’s investigation into President Donald Trump. Other than trying to delegitimize the Russia investigation, Bongino offered little else to the network. His show, which he has hosted for less than a year, typically kicked off with scattered, nonsensical ramblings and went downhill from there. The Daily Beast reported  on December 10 that, according to two sources, NRATV had “dropped” Bongino amid downsizing efforts during a period of financial problems  for the NRA. It’s unclear what is next for Bongino, but the Daily Beast article pointed out that several weeks ago he was identified as a “former” NRATV contributor during a Fox News appearance, leading to speculation that he may soon join Fox News or Fox Nation. Bongino reacted to The Daily Beast’s reporting with a characteristically unhinged  meltdown, calling  the story “fake news,” claiming that he wasn’t fired but that he quit, and even threatening  satirist Vic Berger for poking fun at his dismissal. The cancellation of We Stand follows other recent changes at NRATV. On November 28, veteran NRATV producer Cameron Gray announced  that he and some of his colleagues had been laid off. That announcement came after news surfaced  about the NRA’s recent tax filings -- which show a $55 million drop in revenue between 2016 and 2017 -- and about cost-saving measures being taken at NRA headquarters, such as eliminating free coffee  for employees. Bongino, a Secret Service agent during the Obama administration who published a tell-all book  after leaving the agency, came to NRATV after thrice failing  to win congressional campaigns and sometimes guest hosting  Sean Hannity’s radio show. Bongino’s NRATV show was announced in February 2018 with a promotional video attacking CNN host Don Lemon. 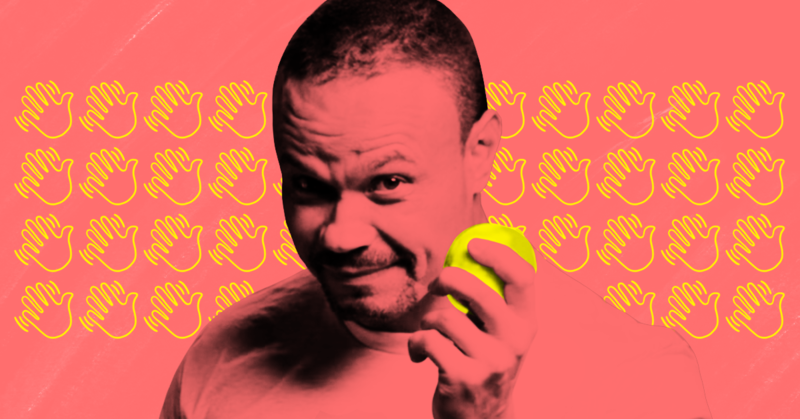 In the video , Bongino put unpeeled lemons into a blender and then appeared to drink the juice, leading to widespread ridicule  as that’s not how lemonade is made. There was very little to Bongino’s show beyond his rants about Trump and Russia; it was as vacuous as it was angry and confusing. During an October NRATV broadcast, Bongino said , “I know I shouldn’t say this,” but “my entire life right now is about owning the libs. That’s it.” As expected, he again drew widespread  ridicule . The first few minutes of Bongino’s We Stand -- which currently airs on weekday afternoons -- are often especially painful to watch , as Bongino himself often noted during rambling introductions  that he makes no plans for what to say on air before the show starts. Things often devolved from there during the 30-minute broadcast. Update (12/11/18): This post has been updated with the new date  of Maria Butina’s plea hearing.